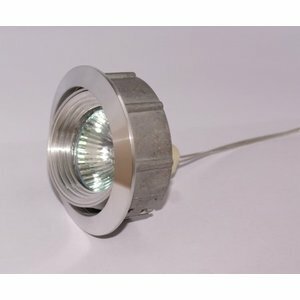 Home / Tiltable recessed aluminium spotlight Silver Tilt 050. 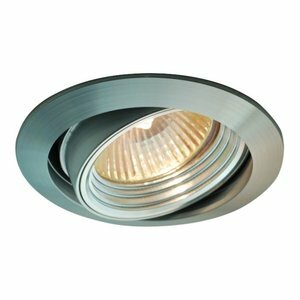 R&M Line Tiltable recessed spotlight Silver Tilt 050. Home » Tiltable recessed aluminium spotlight Silver Tilt 050. R&M Line Tiltable recessed aluminium spotlight Silver Tilt 050. Tiltable recessed spot made of die-cast aluminum with twisted screw inner ring. The inner ring is polished shiny, making it nicely from the rest of the spot. 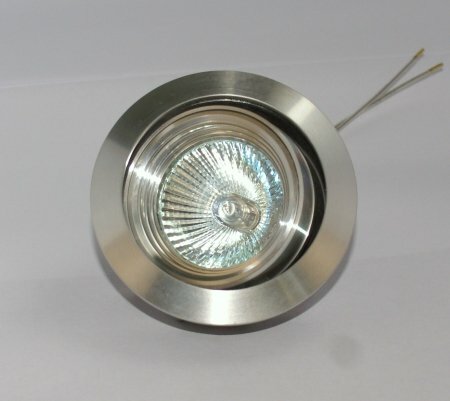 The downlight is suitable for LED lamps and LED modules. The spotlight is more than 1 cm deep so that the glare and glare is minimal. By means of clamping springs this spot is suitable for mounting in a suspended ceiling. Maximum power of 50 Watt. Suitable for type of light sources MR16 12v GU5.3 and GU10 LED light or LED module. 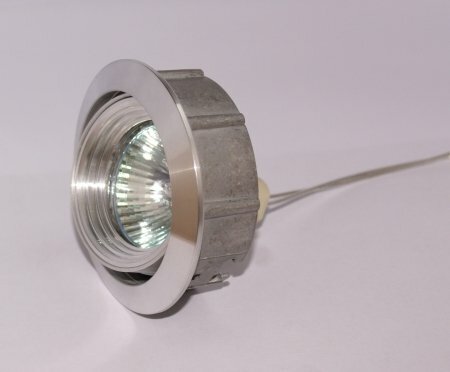 Supplied with 12V socket or GU10 230v lamp holder. Luminous flux ( lumens): N.A. Color index ( CRi ): N.A.